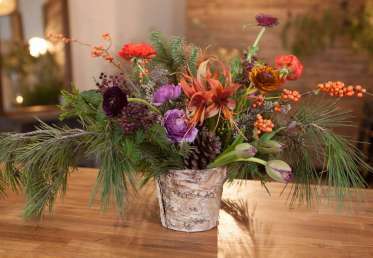 In this class, Alethea and Jill of Studio Choo teach the basics of making a gorgeous tabletop centerpiece, perfect for a holiday dinner. 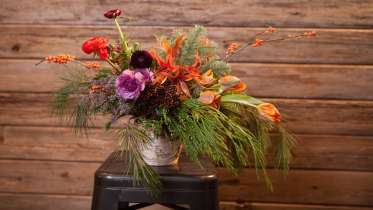 The arrangement begins with a lush framework of seasonal evergreen branches, and grows with flowers like amaryllis, ranunculus, and tulips that add pops of color. Berry branches are added last to create movement. 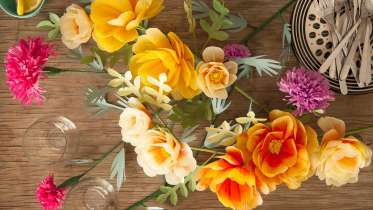 As Jill explains her design process, the arrangement takes shape before your eyes, demonstrating how easy it can be to create an eye-catching centerpiece--even if this is your first time playing with flowers. 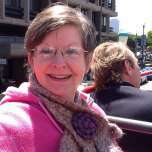 In this class, Livia shares her technique for making wild roses and thistles out of tissue paper. 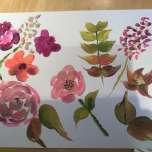 From dip-dye bleaching the paper to attaching the petals and leaves with floral tape, Livia covers every step of the paper-flower making process. 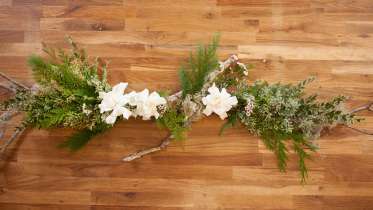 She then shows you how to display the branches to make a gorgeous, organic tabletop centerpiece, perfect for weddings, parties, or any festive gathering. Homemade pies are beloved by all, but they can be particularly challenging to do well. 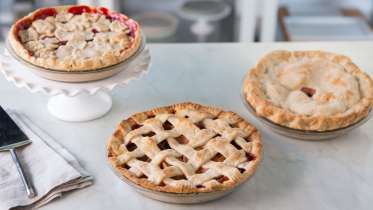 Whether you're baking for a holiday, a barbecue, or just because, Devlin Mannle will show you how to make a killer pie you'll be proud to share on Instagram. 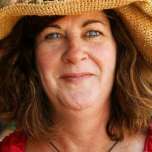 Devlin shares his mother’s recipe for perfectly flaky pie crust, walking you through every step just like he’s in the kitchen beside you. 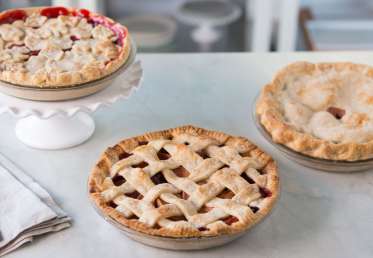 You’ll learn tips and tricks for handling and rolling out the dough, as well as several traditional and decorative pie crust designs that will impress your guests, like lattice crust, cut outs and pretty crimped edges. 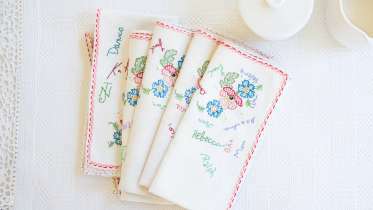 These embroidered napkins serve as a sentimental record of everyone who has gathered around your table for special meals and holidays. 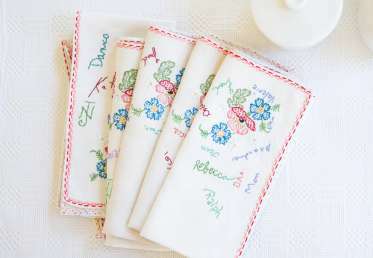 Rebecca shows you what kind of tools to use to gather signatures, and how to embroider those signatures or drawings onto napkins so they can be washed and used and cherished for years to come. 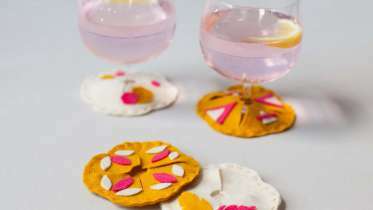 These unique wine markers are fun to make and require only the most basic of hand sewing skills. 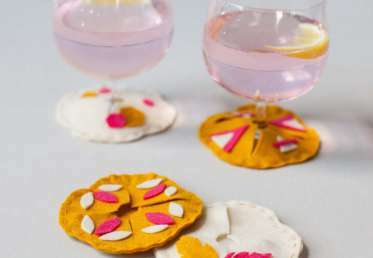 Dress up your next dinner party with these colorful markers, give them as party favors, or make a set a gift for any occasion. Be sure to download the PDF for the template. 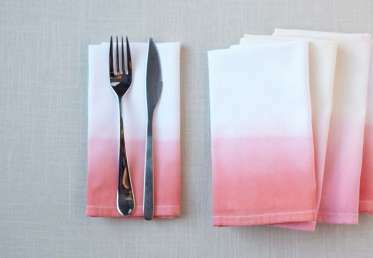 Cloth napkins are the perfect size for perfecting the art of dip-dyeing. 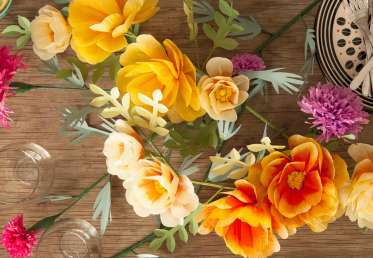 Kelly Wilkinson shows you tips and techniques to achieve an even, painterly gradation of color without splotches. 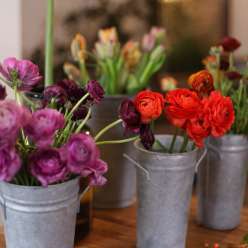 After this workshop, you'll be dyeing with confidence and looking for more items to pretty up with an ombre effect. 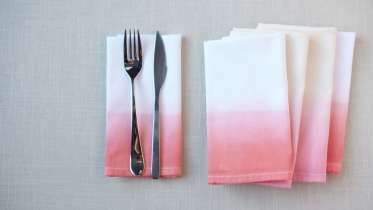 In addition to dyeing, you'll also learn how to cut simple stencils to add a pop of color and personal style at your next dinner party. 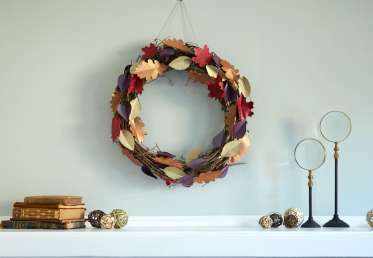 Make a festive wreath with shimmery paper leaves, perfect for fall decorating. 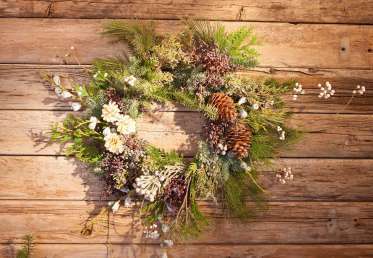 Lia Griffith shows you how to score and cut a variety of leaf shapes, then add dimension by folding leaves for a more realistic look. 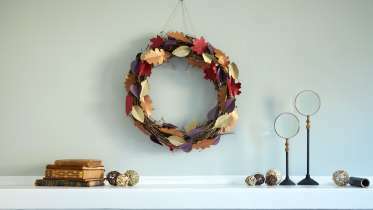 Attach leaves to a withered and rustic grapevine wreath for a statement piece you can hang on the door or on a wall. 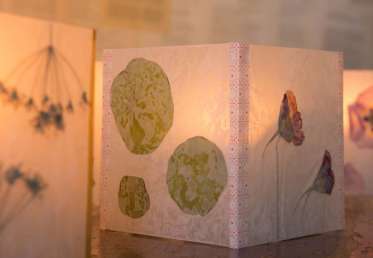 Bring nature indoors with these simple, sweet lanterns that emit a lovely diffused light for any holiday table. 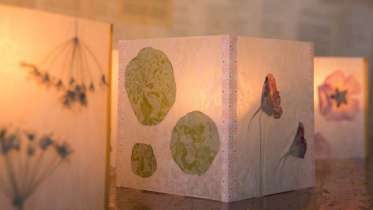 These waxed paper lanterns come together quickly and easily and show off pressed flowers and leaves in a modern, casual way. 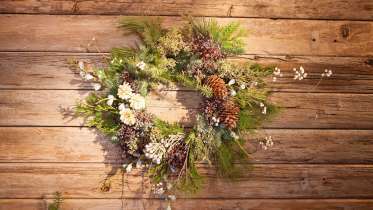 Woodgrain has a raw, woodsy look to it that complements any season and occasion. 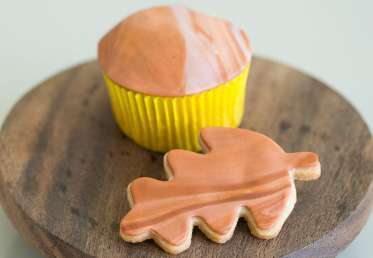 In this class, you will learn how to create custom fondant colors to achieve an organic woodgrain look using the Color Right Icing Color System. 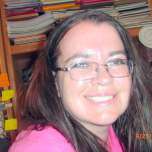 Stephanie shows you how to knead the fondant to create a marbled effect and roll it out to just the right thickness. 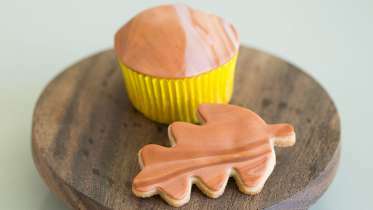 Finally, you will cut out fondant shapes and add them to cookies and cupcakes using a thin layer of buttercream icing. A good tablescape needs an eye-catching centerpiece to draw it together. 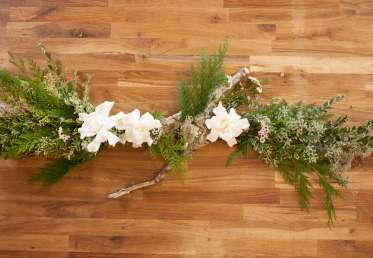 Courtney demonstrates a variety of ways to paint and stylize wooden rounds that you can lay on your table for a pretty presentation. 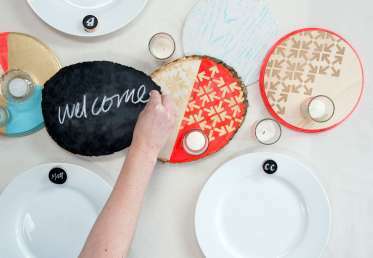 You will learn how to paint and stencil wooden rounds with spray paint, how to create color block designs, and how to use chalkboard paint and add a seasonal message. 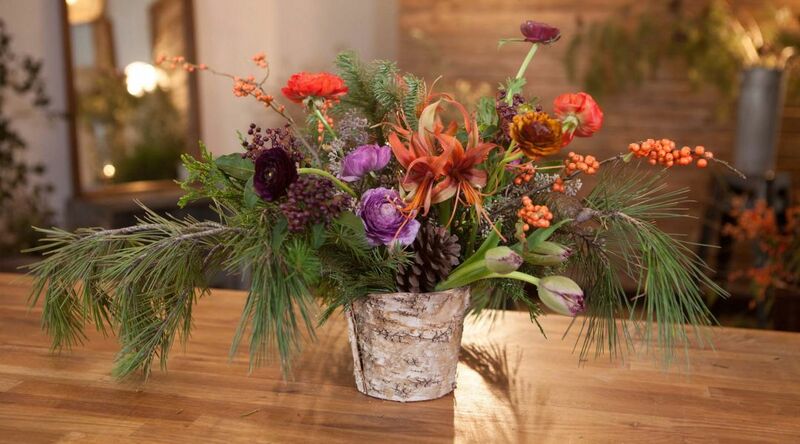 Mix and match your centerpieces, then complete your table decorations with coordinated votive candles.